Periodontal maintenance is important for patients that have been diagnosed with periodontal disease, have had periodontal surgery, or have symptoms of periodontal disease. Dr. John Hudon and our friendly staff in Auburn, AL will be able to provide a personalized periodontal maintenance program for you. Call us today to make your appointment! Patients that notice symptoms of periodontal disease, such as a gummy smile or bleeding gums, should have a thorough evaluation to avoid further damage to both their oral and overall health. Identifying periodontal disease and treating it in its early stages can prevent more serious consequences such as tooth loss and other health problems related to periodontal disease. Dr. Hudon will evaluate each patient’s specific needs and present a treatment plan for their individual situation. Prevention and treatment begins with a meticulous oral hygiene regimen at home. For patients with tender and bleeding gums or a gummy smile, thorough flossing and daily brushing is the first defense to avoid the progression of periodontal disease. However, an excellent oral hygiene program at home is not enough. It must be followed up with professional dental care. Even patients who follow a careful homecare routine of brushing and flossing will require professional maintenance, especially following periodontal surgery. Calculus, or tartar, that can only be removed by a dental professional can build up in some patients regardless of how thorough they are with their oral hygiene at home. Dr. Hudon will recommend the best maintenance therapy for patients ranging from those experiencing first stage symptoms such as a gummy smile to patients that have undergone periodontal surgery. Whether a patient is experiencing first stage symptoms of periodontal disease or has had periodontal surgery, it is important for them to begin a periodontal maintenance program. Dr. Hudon provides exceptional care for his patients with cutting edge technology, a well trained staff, and a relaxing office environment. 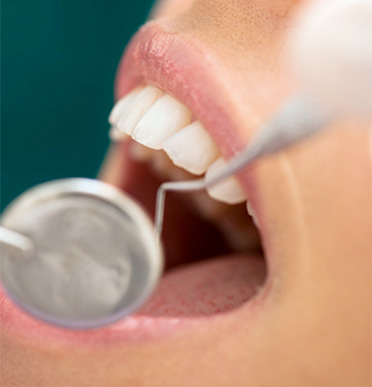 Periodontal disease should never go untreated. Schedule your appointment with Dr. Hudon in Auburn, AL, and receive personalized treatment for the stages of gum disease, treatment for a gummy smile, or to follow up on previous periodontal surgery.